'Wish you were here?' 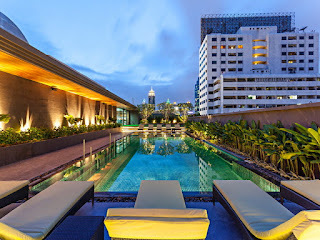 - Best Western PREMIER Sukhumvit Hotel in Bangkok, Thailand. Congratulations to our latest ‘Wish you were here?’ winners, Best Western PREMIER Sukhumvit Hotel in Bangkok, Thailand. Conveniently located on vibrant Sukhumvit Soi 1 in the heart of Bangkok's central business district. The hotel offers easy access to Ploenchit and Nana Skytrain stations making the whole of the city within easy reach. The hotel boasts 145 rooms and suites that are all furnished to a high standard – 40 inch LCD TV’s, IPod docking stations and King-size beds are just a few of the added extras included in the offering! We love the fact this Hotel offers all Guests a complimentary full breakfast and the fact that there is an onsite pool, fitness centre and Restaurant. The Best Western PREMIER Sukhumvit offers guests a range of services to enhance your stay including Doctor on call, Dry Cleaning, Ice machines on all floors and foreign currency exchange. st, very thankful and hopeful that you will write many more posts like this one.